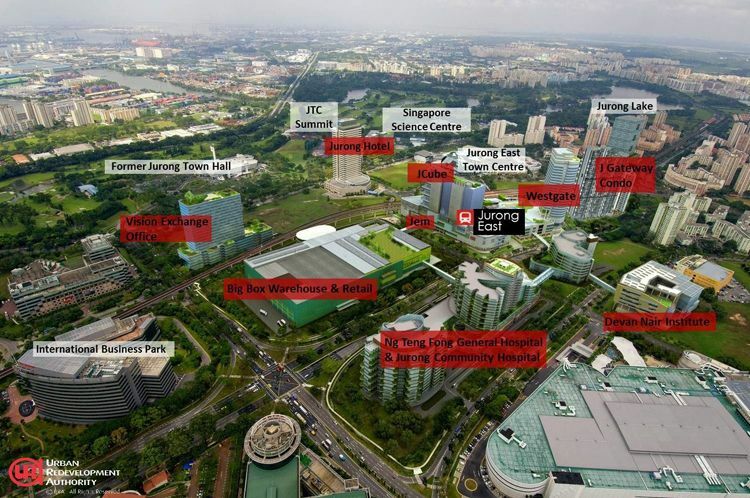 The Urban Redevelopment Authority of Singapore (URA) have taken the next in fulfilling the transformation plans to turn Jurong into the 2nd Central Business District (or CBD) in Singapore. They have invited several teams from various disciplinary to help develop the master plan proposals for the regeneration of the Jurong Lake District (JLD). The plans for transformation was first announced in 2008, under the Master Plan back then, as part of the government’s decentralisation programme. The plans are set to segment Jurong into a commercial district, called Jurong Gateway and a leisure hub which will be known as the Lakeside. In recent years, we’ve already witnessed property developers strengthen their foothold and playing a part in the future development plans, with the most recent condo launch Lake Grande in sights. The primary focus of the future plans will be concentrating on proposed ideas for the Lakeside Gateway – which will a new business district for mixed usage and also comprises of the upcoming High-Speed Rail terminus which will link Kuala Lumpur directly to Singapore. According to the URA, this 112-hectare site is located between the 2 new precincts – Lakeside and Jurong Gateway, and has a estimated GFA (gross floor area) of around 4 million to 5 million square metres. Thus, the site could be catered for development of offices, retail spaces, F&B outlets, hotels, facilities for recreational and also more spaces for public. It was noted by Mr Lawrence Wong, the Minister for National Development that having a CBD in the heartland will set to drive Singapore’s future economy upwards and provide to the needs of residents, various businesses and Singaporeans of different backgrounds. He has also added that the new Jurong district will be uniquely different from the rest of the precincts by being a hub for smart initiatives and innovations, and also a home to continual urban framework.